In a country where secular state universities and privately-run Catholic universities dominate, Silliman University stands alone among the best universities in the Philippines for being the one started by Protestant Americans as a private institution of higher learning. Silliman University’s campus is a major landmark in the city of Dumaguete and its acacia-lined streets (the view from Google Maps shows a lot of greenery) are reminiscent of the campuses of U.P. Diliman and Ateneo de Manila in Metro Manila, but with buildings having a colonial American architecture. Silliman University has quite a number of distinctions. Founded on August 28, 1901, it is the first Protestant school in the Philippines and is the oldest American university in Asia (the University of the Philippines was to be founded 7 years later). 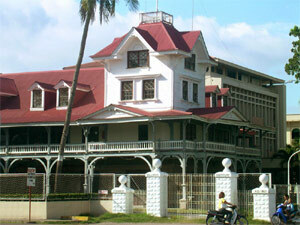 Silliman was also the first educational institution to be granted university status outside of Manila in 1938. The university is one of the nine Zonal Research Centers designated by the Commission on Higher Education (CHED) and thus tasked with coordinating research activities in Negros Oriental and Siquijor. (Another CHED Zonal Research Center I’ve featured before is the Mindanao Institute of Technology – IIT.) Furthermore, Silliman University is among the top 10 schools in the Philippines according to CHED and the Professional Regulatory Commission (PRC) (see this blog post by the Technographist). Why the name, Silliman? Well, the University was named after Horace Brinsmade Silliman, a New Yorker philanthropist and Presbyterian layman who bequeathed $10,000 to start the former elementary school. The university currently has approximately 6,000 students and offers around 30 bachelor’s degrees. For more information, you should see the Wikipedia article or visit their official website.